replaced by a power hungry lackey who grins? Is He an Aussie, is he, Lizzy? 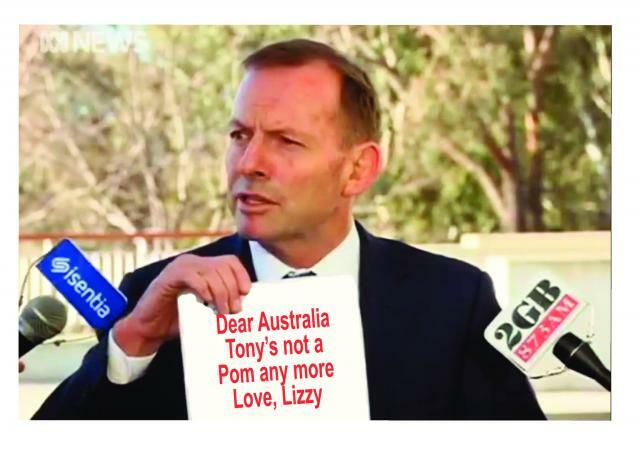 Is he an Aussie, is he Lizzy, ex PM Lord Tony, hey? and shagging her boyfriend on Saturday. The next bit is reprinted from the Advertisers letters page of Halloween 2014: IF the future frigates are to be built in Adelaide, and the ship chosen is the Type 26 Combat Ship, a new era in naval co-operation could begin. The UK Navy are building 13 of these ships, with BAE doing much of the design work and Raytheon developing the navigation and bridge systems.